The Backcountry Hut prototype was born out of research into the principles and methodologies that allow individuals and groups to have more agency in building their own structures, and in doing so, ultimately afford people increased power and opportunity to shape their own communities. The research was focused on architectural applications of user participation in the design and construction of architecture, with a particular emphasis on self-assembly and communal construction. The fundamental questions were: What is the right amount of user participation in the process of design and construction, and in what form? What construction methodologies and approaches are feasible for the production of self-build architecture? How can we develop a framework for emergent systems of architecture and planning? How can we create a model that addresses the universal human requirements for shelter while also affording opportunities for specificity and customization, and also ensure a successful outcome? 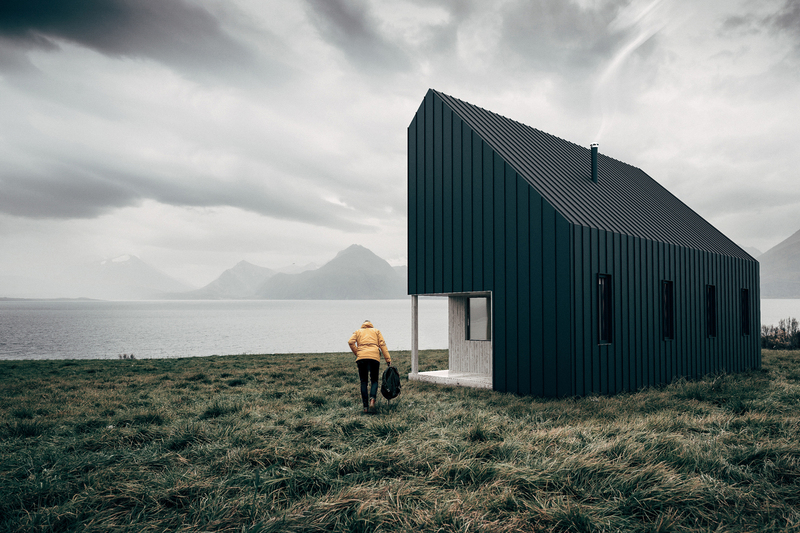 Utilizing the principles of prefabrication, DIY assembly, and sustainable design, the hut prototype is a ‘kit of parts’ system that was originally developed for the benefit of outdoor enthusiasts, outdoor clubs, alpine associations, and backcountry lodge operators. In addition to ‘backcountry’ applications (i.e. without road/vehicle access), the hut is adaptable for both rural and urban ‘front-country’ sites (i.e. sites easily accessible by vehicle).